Indonesian authorities have ordered the evacuation of more than 6,000 residents living near the Mount Sinabung volcano following a sharp increase in volcanic activity. 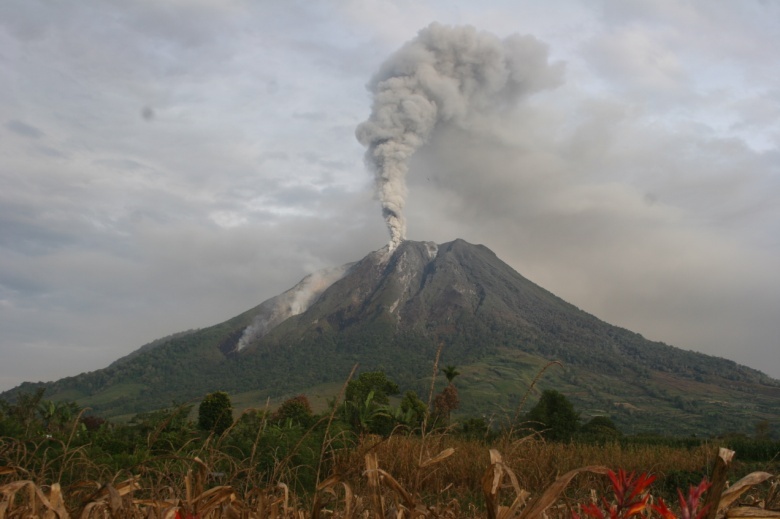 The alert for Sinabung was raised to the highest level late Tuesday, said Sutopo Purwo Nugroho, a spokesman for the National Disaster Management Agency. The lava dome at Sinabung has grown in volume to more than 3 million cubic metres, making it unstable, Sutopo said. “There is a risk for the collapse of the dome followed by block-and-ash flows as far as 7 kilometres to the south-east,” he said. Sutopo said 2,053 families, or 6,179 people, living in eight hamlets on the southeastern slope of the volcano were affected by the evacuation order. “Priority will be given to 370 families within the radius of three kilometres,” he said.